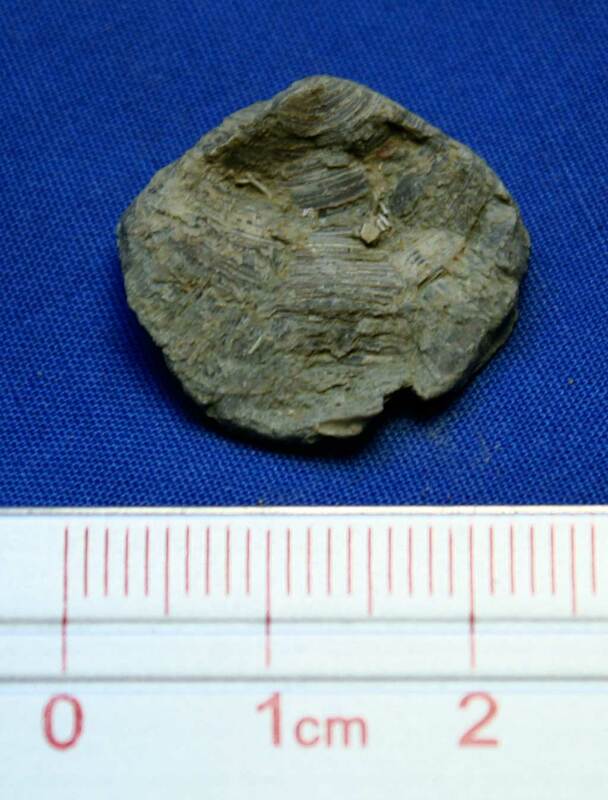 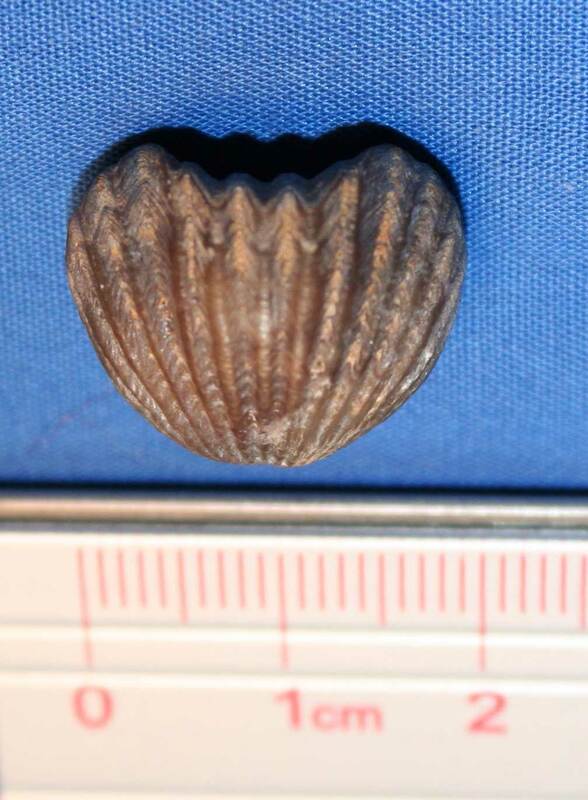 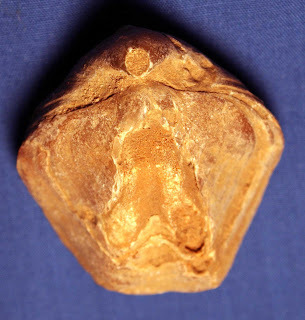 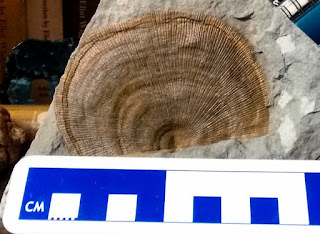 These pictures are of an Ordovician Period brachiopod fossil thought to be called Lipidocyclus capix. 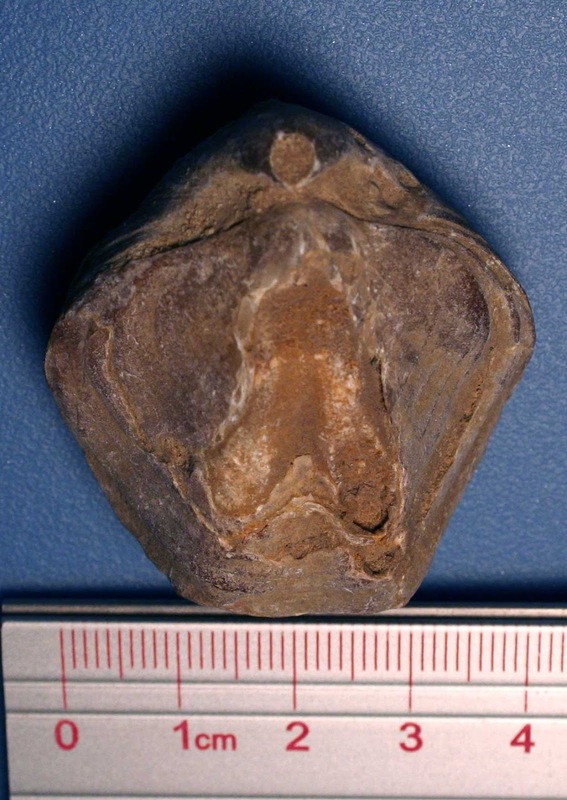 It was found in the Richmondian stage of Jefferson County, Indiana, USA. 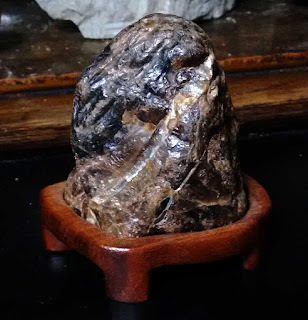 Thanks to Kenny for the specimen. 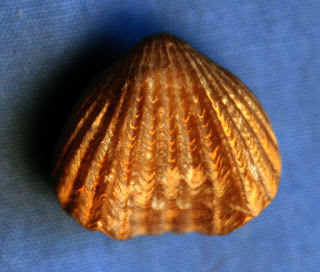 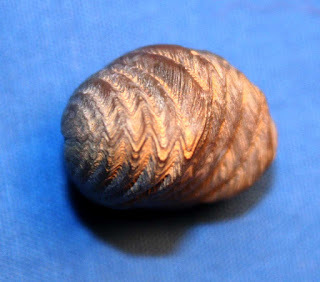 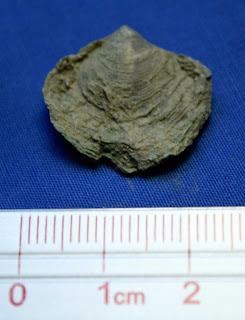 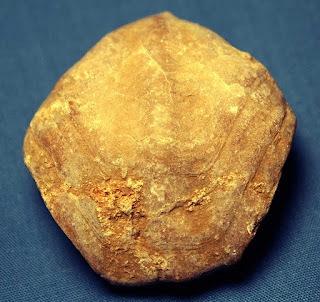 Terebratula maugeril brachiopod fossil found in Barrio del Naranjo, Cordoba, Spain. 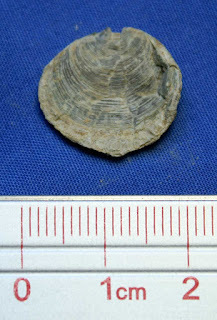 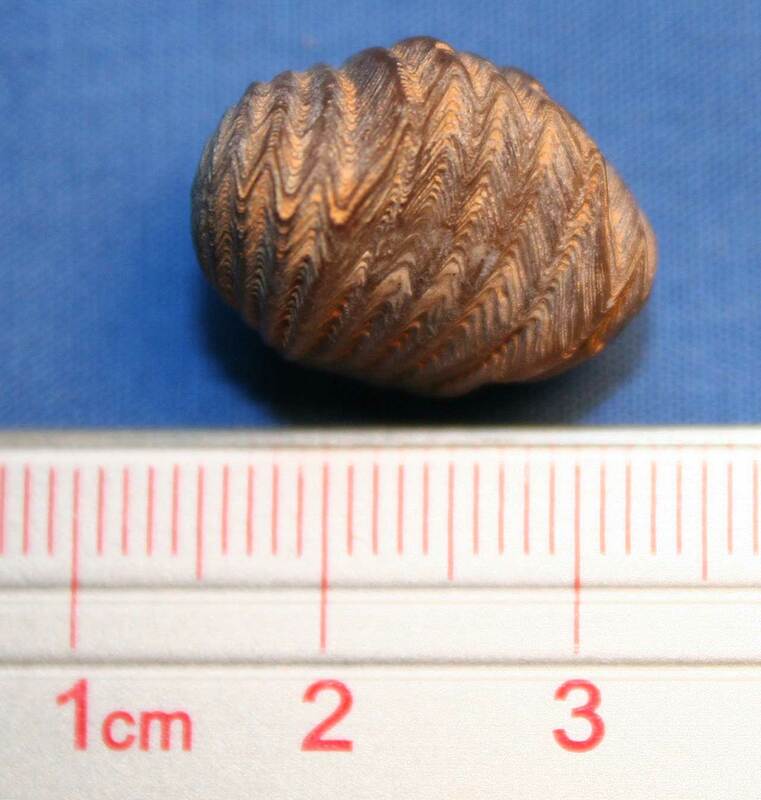 It is from the Upper Miocene Period (Messinian). 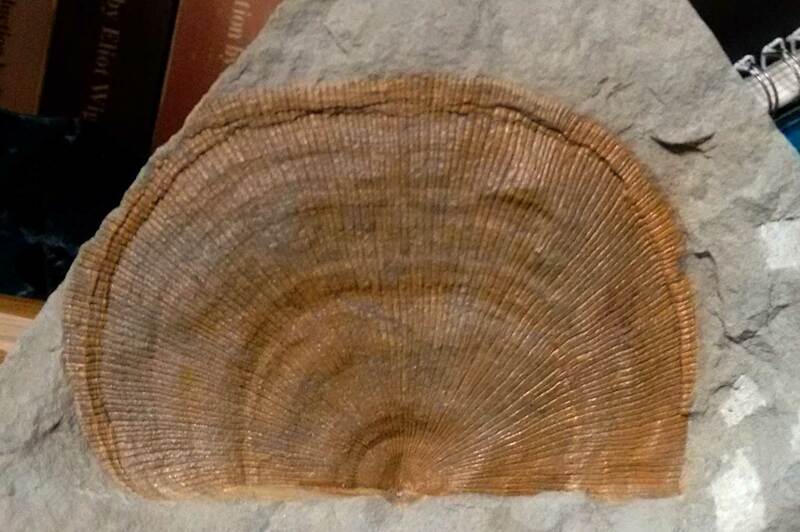 Thanks to Clive for the fossil. Here are some more Suiseki examples. Thanks to Kenny for letting me image these. 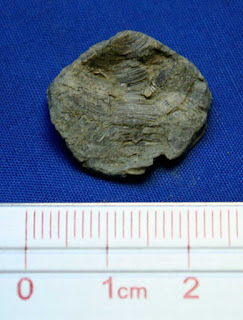 While looking at a chunk of Waldron Shale that had a crinoid calyx, the shale split revealing a small fossil fragment. 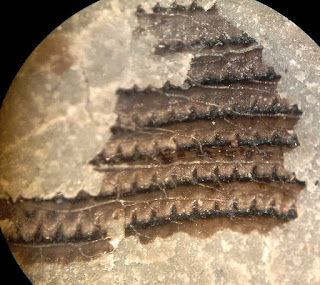 This image was taken while it was under a microscope with a field of view of about 4 mm. 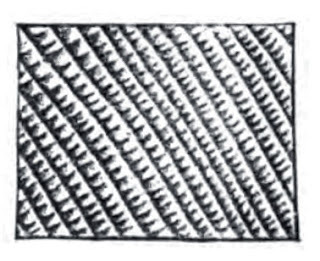 The Strophostylus cyclostomus was described by James Hall in the 1881 Indiana Geological Survey (pages 316-317; Plate 31 Figure 13). "An enlargement of the surface-striae of a full-grown specimen, showing the transverse striae of growth, and the finer revolving lines." 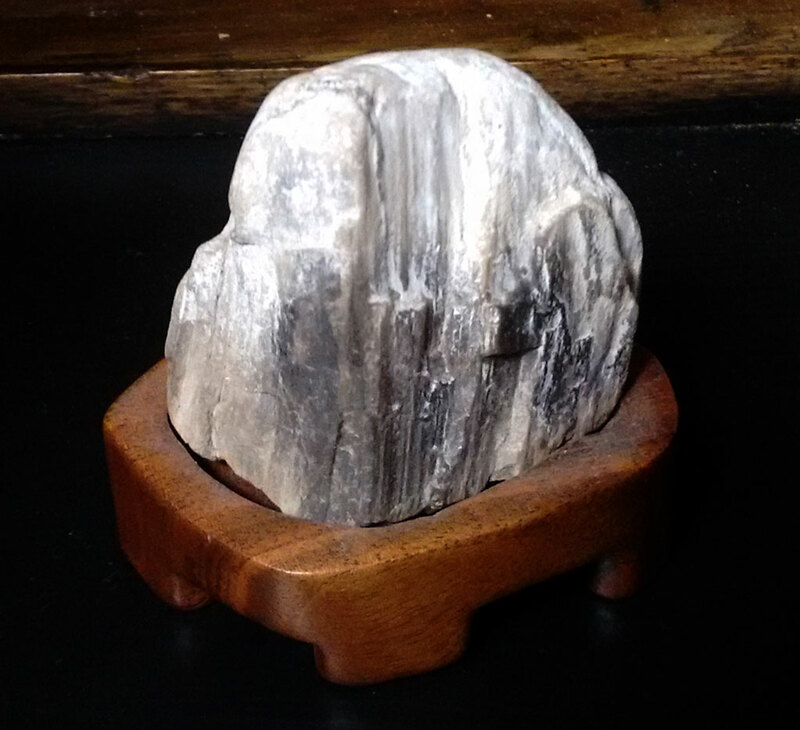 The image was taken with Moto G 2nd generation phone. 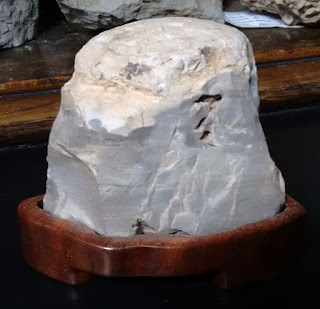 This brachiopod imprint is an Orthotetes keokuk found in the Borden Formation of Floyd County, Indiana, USA. 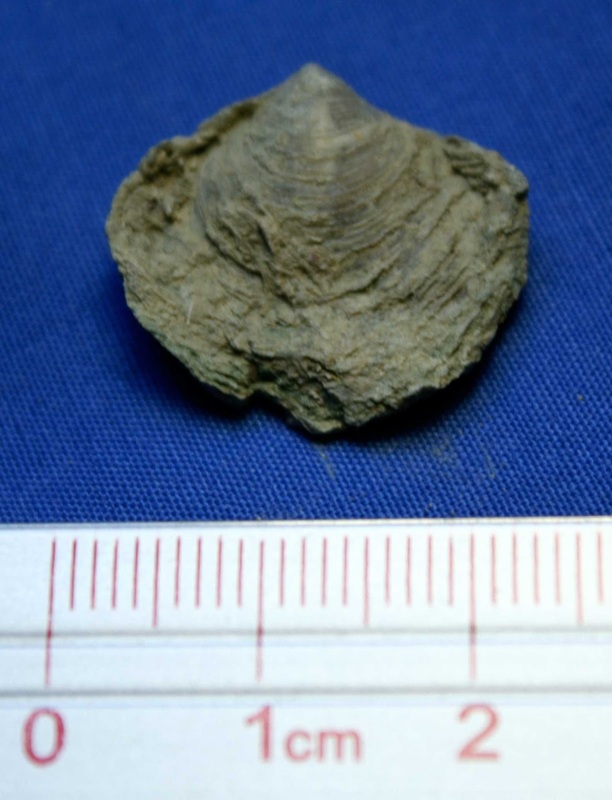 The fossil is from the Mississippian Period. 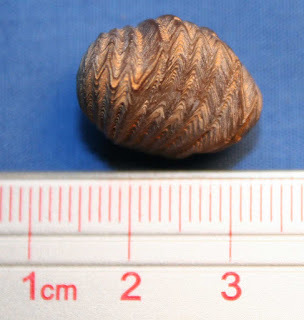 It measures about 7.3 cm wide and 5 cm tall. Thanks to Kenny for letting me photograph it.